Branch was born and raised in Houston, Texas. He graduated with high honors from the University of St. Thomas and received his J.D. from South Texas College of Law in 2001. 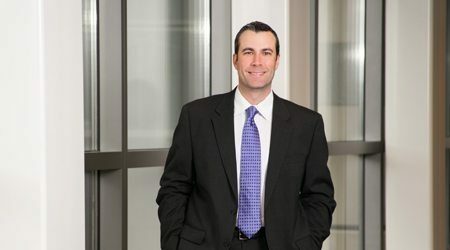 Branch has worked in the areas of first party and third party insurance defense, personal injury representing both plaintiffs and defendants, toxic tort defense, mass actions, business litigation, commercial litigation, and estate planning, while also representing debtors in a handful of Chapter 7 cases. While Branch continues to work in other areas of the law, since 2005, he has focused his practice on creditor’s rights. He represents lenders and other secured creditors in real estate foreclosures, bankruptcy matters, evictions, and mortgage litigation. Branch has handled matters for clients relating to the servicing of mortgage loans and other issues in the mortgage banking industry in United States Bankruptcy Courts, United States District Courts, and in Texas state courts. Branch strives to give his clients, in the U.S. and abroad, his closest personal attention. He believes that the cornerstone to excellent representation is communication. He makes himself available to his clients whenever they call upon him and his legal expertise is needed. Co-Author, “The New and Improved RESPA: What Is It? What Was Amended? Why Do We Need to Know About It?” presented at the Advanced Consumer Bankruptcy Course in Dallas, Texas, June, 2010.